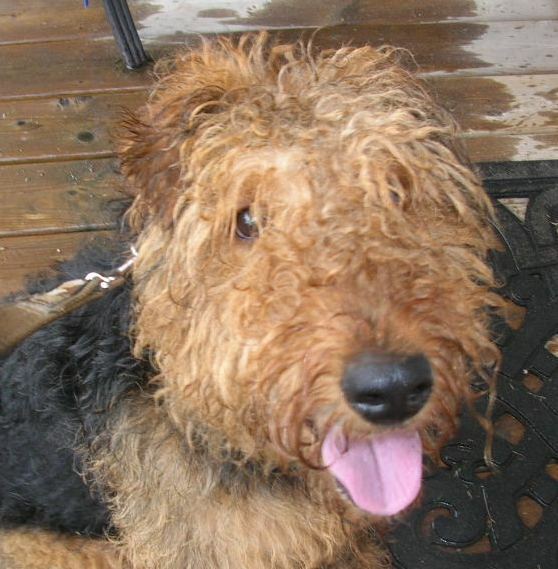 Sixteen-month-old Sarah came into Ontario rescue on April 25/10. She had been bathed, but was horribly matted because she had never been groomed. It was believed that she had allergies and she had open sores on different parts of her body. She was loved but her family were moving and also expecting a new baby. They felt that they were not giving her the time she deserved. Sarah is a lively girl that will sit, shake a paw and wait for a release command for her meals. She’s a sweetheart, needing some one that could give her the exercise and leadership that she’s been lacking. Because Sarah is a busy girl, without this leadership and exercise, she could easily become a nuisance. 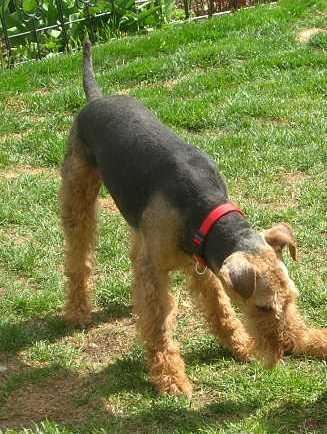 Sarah is now living in a great home where she is being walked and played with. She has a new Mom and Dad and a Wheaton Terrier brother who has attended many obedience classes. Her skin issues are being addressed and she is starting to feel comfortable and happy with her forever family.